Hubble Zooms In On Alien Atmospheres --"Something Is Changing The Way These Planets Look"
Lead researcher Giovanni Bruno of the Space Telescope Science Institute in Baltimore, Maryland, explained, "What we're seeing in looking at the two atmospheres is that they're not the same. 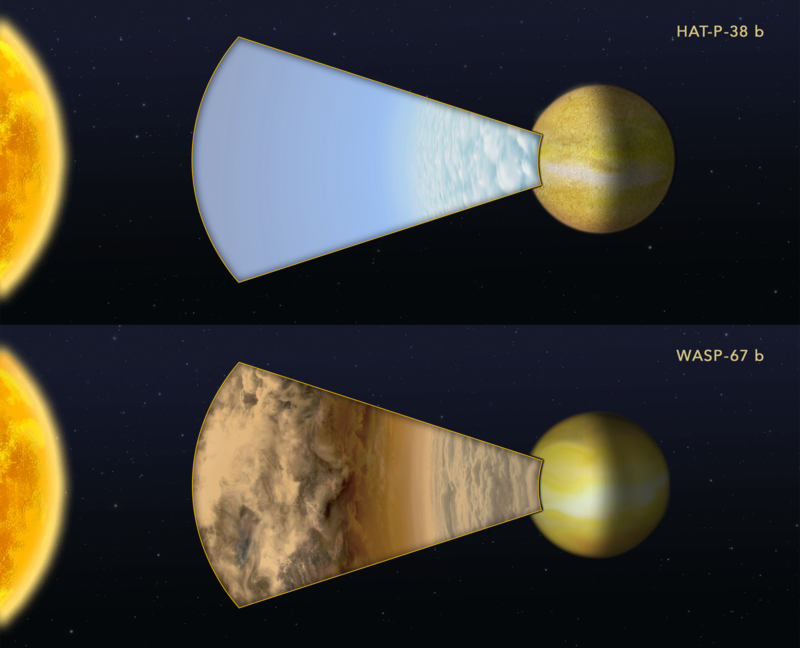 One planet -- WASP-67 b -- is cloudier than the other -- HAT-P-38 b. We don't see what we're expecting, and we need to understand why we find this difference." The diagram below compares Hubble Space Telescope observations of two "hot Jupiter"-class planets orbiting very closely to different sunlike stars. Astronomers measured how light from each parent star is filtered through each planet's atmosphere. HAT-P-38 b did have a water signature indicated by the absorption-feature peak in the spectrum. 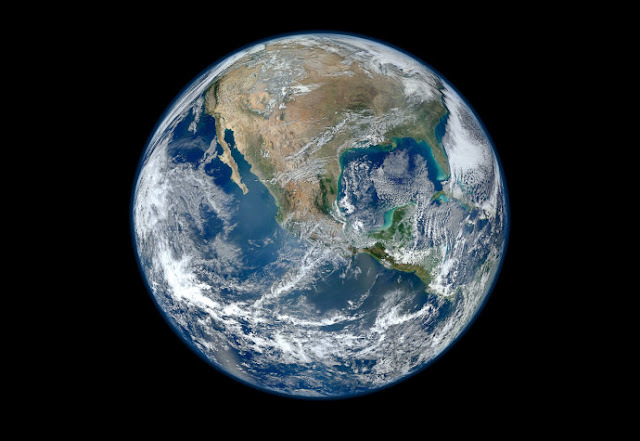 Image credit: Top of page with thanks to KARLIE Atmosphere Matte Painting Alien Planet.